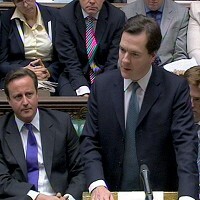 The Headmaster looks on as Osborne speaks up in assembly. I fully intended to blog about the CSR yesterday but was running training for teachers all day and as not everything went according to plan, all I could do was sit in front of the TV last night and eat cakes and dribble. So here’s my summary of how it went. Chancellor: Right you lot we’re going to be making lots of cuts and those with broad shoulders will take the burden of the cuts and the cuts will be FAIR. Chancellor: We’ll need to lose almost half a million public sector jobs which is not very nice but IT’S NOT OUR FAULT. A big boy called Gordo did it and ran away. Chancellor: To make it FAIR there will cuts across each government department because we don’t want to bully anyone in particular. Did I mention it was FAIR and IT’S NOT OUR FAULT? Speaker: Right that’s it. It’s not my time you’re wasting. I could sit here all day but if you want to have any playtime left you’d better stop that muttering and listen or you’ll all be in detention. Chancellor: We’ll be handing over the decisions about redundancies to local authorities. That way it will all be FAIR because the overpaid senior executives will be the ones in charge of the cull and I’m sure they will all take huge pay cuts themselves while ensuring that those on lower salaries are protected because we have to make cuts and IT’S NOT OUR FAULT. You see there was this big boy called Gordo and he’s the one what done it. Speaker: What did I tell you about muttering, class? Chancellor: And we’re overhauling the benefits system to get people back into jobs cos we don’t want any unemployed layabouts. Chancellor: What’s that, crowd? What jobs? Well I’m sure something will turn up. Evan Davies: Do you have a plan B, Chancellor? Chancellor: Oh it’s you Davies. Didn’t I flush your head down the bog in the lower fourth? Evan Davies: Just answer the question, Chancellor: do you have a plan B? Chancellor: we don’t need a plan B because it will all be fine and anyway IT’S NOT OUR FAULT because a big boy called Gordo did it and ran away. Chancellor: May we go out to play now please, Speaker? Speaker: Very well but don’t forget your coats, it’s chilly out there. And play nicely. Davies? See me after class. 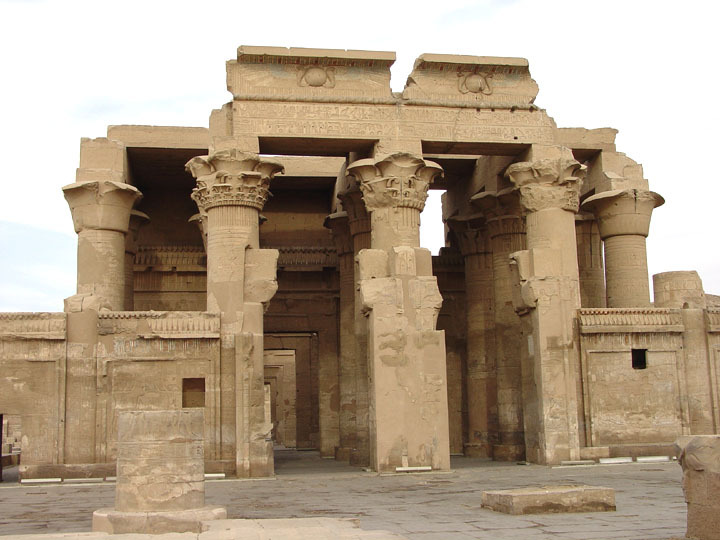 The closest I’ve come to experiencing Stendhal’s syndrome was on a trip to Egypt. The sheer magnificence of the ancient Egyptian architecture was such that after a while my brain simply couldn’t cope with the sight of another temple and I was desperate for the cooling balm of a grey office block swathed in drizzle. And no more bloody donkeys. I’m beginning to feel a little like this with the spending cuts. At first they were awesome and terrifying and I gazed up at them, shaking my head in wonder. But like those temples they’ve come so thick and fast that I’m feeling dizzy. My poor little brain just can’t cope with any more. Them: We’ll have to let you go. Sorry, I mean your post is being deleted! Me: Oh my God what will I do, I’m doomed, the world is doomed, save me! I’ve got one of those huge mortgage thingies they used to give out to everyone. Them: And we’re cutting schools budgets. Me: Oh bloody hell, that’s just unfair you greedy lot. Whatever next? Them: Well we’re slashing the Quangos with gay abandon! Take that useless Quangos! Me: I’m sure we can live without Quangos. Them: While we’re at it, we may as well slash all public sector services. And yes that includes you teachers, nurses and police officers. Me: Yeah, feckless lot! Get a proper job. Them: But we’ll make sure that bankers’ bonuses are protected because we wouldn’t want the poor bankers to suffer. Me: Hurrah! Please take the shirt from my back and the shoes from my feet so the bankers don’t have to suffer. Them: And X factor is on again. Me: Phew, I thought we were all going to hell in a handcart. There was a lot of fuss last year when Barnet council announced that it would be adopting a ‘no frills’ service. An ‘Easy’ council if you like. Residents would get a very basic service and any extras would have to be paid for. Many services would be outsourced from private companies while council staffing is cut. But the peasants are revolting. Barnet residents haven’t taken this lying down- there have been a series of demonstrations and meetings calling for an end to the cost cutting, especially when the most vulnerable members of society –the elderly and very young- are involved. There is a campaign to keep libraries open after it was suggested that reading real books was a rather outmoded idea and that residents who wished to cling to their old ways could pick up their books in Tesco’s and pop along to Starbucks to have a read. Meanwhile Lambeth council have announced plans to become a cooperative (I hope they do those nice fairtade chocolates) and encourage local community groups and individuals to help run things. Well that’s me sorted out after redundancy from my own council then. Perhaps I’ll pop along to Brixton town hall and offer my services to housing. Maybe take a broom with me and give Rush Common a little sweep on the way. I wonder how many other councils will choose the no frills option or the cooperative route after the Comprehensive Spending Review and whether this is the future model for council services. 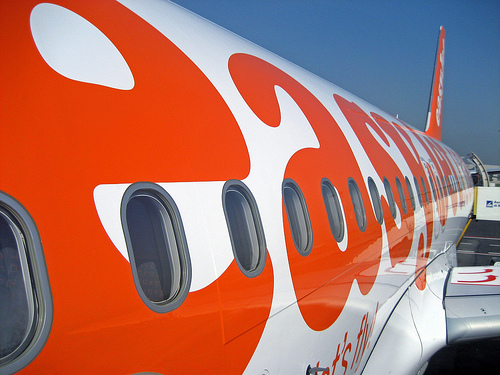 This summer I went on holiday with EasyJet. I took my own snacks (£4.50 for a buttie? You’re having a laugh), I packed light so I didn’t incur luggage penalties and I queued. And I queued and I queued. There was rather a Dunkirk spirit about it as we swapped horror stories. A mother travelling alone with three children under the age of seven told me how she was separated from her kids on the flight over because there weren’t four seats together. The mum pointed to her toddler who was sucking her thumb and clutching a blankie. ‘They wanted her sit on her own!’ she said. Well the flight- perhaps like the easy council model- did what it was supposed to do and got me quite nicely from A to B eventually. But I’d rather travel BA.